Old hand: Arun Nanda plans to give up all executive positions in the group from 1 April while remaining chairman of Mahindra Holidays. Mumbai: It was supposed to be an innocuous briefing on a new business proposal, recalls Arun Nanda, chairman of Mahindra Holidays and Resorts India Ltd, of a meeting in the mid-1990s that he had with Anand Mahindra, vice-chairman of Mahindra and Mahindra Ltd. The agenda was to evaluate the concept of timeshare—a form of ownership or right to use a property, typically a holiday resort—as a potential new business opportunity to diversify the group’s interests from manufacturing tractors and utility vehicles. Nanda took along to the meeting a bunch of clippings to make his case for a business that, in those days, made news for all the wrong reasons, such as dubious promoters and fly-by-night operators. What swayed Mahindra into green-lighting the proposal was that no newspaper questioned the concept of timeshare as a business, per se. Incorporated on 20 September 1996, Mahindra Holidays received an infusion of Rs18 crore from the group to start its business. The venture turned out to be a rare multi-bagger; Mahindra Holidays, which raised Rs180 crore in a June initial public offering (IPO) that saw demand for 10 times the stock on offer, now commands a market value of around Rs3,000 crore. The company’s flagship Club Mahindra Holidays brand has a customer base of at least 100,000 members and around two dozen resorts in India and abroad, offering holiday activities ranging from indoor games to adventure sports, water sports, camping and treks. For the group, timeshare was the second attempt at entering the hospitality sector. A 50:50 joint venture with Accor SA, Europe’s largest hotel company today, had proved to be short-lived. In hindsight, the decision to end the venture with Accor and cut losses was a prudent move, says Nanda, a Mahindra veteran of 36 years, who joined as an accountant in the management trainee cadre and plans to give up all executive positions in the group effective 1 April while remaining chairman of Mahindra Holidays and Resorts. “The hotel business is a very capital-intensive business and it’s not easy to become the No. 1 player in the segment, as the capital requirement is very high," Nanda said in an interview from his fifth floor office in the red brick headquarters of the Mahindra group, a signature building in Mumbai’s Worli area. In the conventional hotel business, the promoter would need to invest for six-seven years before reaping any returns. “It takes years to make a profit, two-three years to build the business; whereas in this business, you sell timeshares today and give the right to use 12 months later. Hence, financially, the timeshare business model requires low capital," Nanda says. Analysts agree that the business model works, obviating the need for timeshare companies to borrow. “As Mahindra Holidays charges membership fees upfront, it helps the company build resorts without resorting to borrowed capital," Manav Vijay, an analyst at Edelweiss Securities Ltd, said in a report dated 12 October. “Securitization of membership fees gives the company access to lump-sum money. As the company retains the title of the property, it provides holiday resorts services over a period of time to members." The Indian timeshare industry has posted a compounded annual growth rate of 15% since 1998, and growth is expected to accelerate, said the same report. The timeshare concept was viewed with suspicion in the 1990s when it first took off in India. Because enlisting more and more new members is what helps the business expand, some thought it was akin to a Ponzi scheme—a business that pays returns to investors from their own money or money paid by later participants than from actual profit. Many fly-by-night operators entered the business and vanished with the money of customers or folded up, tarnishing its reputation further. “Most of the problems started because there was temptation in the business to take money out," says Nanda. “If you have multiple businesses and cash comes upfront, there’s a temptation" to divert funds. Some timeshare companies tried projects such as golf courses and got into trouble, Nanda added. 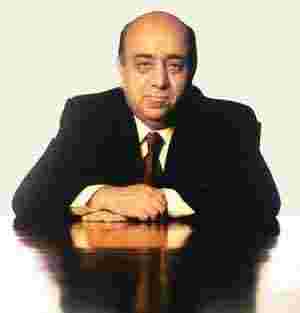 When he approved the venture, Mahindra’s only directive, recalls Nanda, was to get the right person to head the business. Nanda hired Ramesh Ramanathan, managing director of Sterling Resorts Ltd, to lead the new initiative, and incorporated the company about nine months after Ramanathan came in. The initial five years were tough, says Nanda. It took time to attract members. As the venture became successful, two of the top three Indian hotel chains eyed the timeshare business, but backed out when they realized the high entry barriers, says Nanda, without naming the chains. Running a hotel chain is vastly different from operating a timeshare business. It requires time and effort to gain a catchment of around 100,000 members, crucial for the success of the business. To attract members, a timeshare operator needs to build a chain of resorts and hire staff to service the resorts. “We created destinations," Nanda says. “Munnar (in Kerala), for instance, was not known, except for Tata Tea Ltd’s tea gardens. When we went to Munnar, the land price was 2-5% of the present real estate rates." Mahindra also took a conscious decision not to ape the Western model, which offers customers a fixed-time, fixed-location holiday destination, and little else by way of service. “They give you the key and nobody comes to change the bedsheet. You will find no service, no restaurants; even if you want to use the swimming pool, you use your own card key to open the door to the swimming pool," says Nanda. He attributes the success of Mahindra Holidays to the “creative marketing mind" of Ramanathan and his own “little knowledge" of finance. Club Mahindra customers pay between Rs1.5 lakh and Rs7.67 lakh as a 25-year fee, the amount depending on the size of the holiday accommodation—from studio flats to two-bedroom apartments— and the season. The business model seems to be working. Edelweiss’ Vijay says: “The company gains as it gets the membership fee upfront and uses the money to create resorts. We expect the company to generate free cash flow of Rs500 crore" over 2010-12. In the quarter ended September, Mahindra Holidays posted a net profit rise of 38% to Rs28.07 crore from a year earlier on revenue of Rs119.95 crore. Mahindra gets a lot of its business—almost 45% of it— on referrals from existing members, says Ramanathan, managing director of Mahindra Holidays. “We have spent a lot of time understanding the holiday habits of people and what they expect from a holiday, and we designed products accordingly and didn’t ape the Western one," says Ramanathan. For Mahindra Holidays, only 60% of the income accrues from new member subscriptions, with the rest coming from annual fees, interest income, and services such as food and extra-curricular activities offered to customers, he says. To be sure, scaling the business and funding the purchase of new properties is only possible by enlisting new members. “We believe that the company is ill-equipped to handle any significant increase in its eligible customer base, even on planned expansion," analysts Pritesh Chheda and Sachin Bobade of Emkay Share and Stock Brokers Ltd wrote in a 23 June research note before the company’s IPO. Customers have their share of complaints. Harish J., a Bangalore-based doctor who opted for a premium membership in 2006 paying Rs3.5 lakh, says that while he is satisfied with the service standards and the packages offered, he is upset about the wait involved in getting a confirmed booking. “When you pay such a large amount upfront, you don’t want to wait for 45 days to two months to confirm the bookings," he says. The company has been slow in adding rooms in proportion to the increase in the number of members, according to the doctor. Mahindra Holidays also risks upsetting loyal members if it chases new customers without adding to its resorts. Debashish Roy, a Chandigarh-based senior executive at Blue Star Ltd, has been a member since 2003. Roy, who paid up to Rs2 lakh, has been to most of the resorts in India and abroad that are offered as part of the package and doesn’t mind revisiting them. He, however, says: “Though they have added quite a few new destinations since I took the membership, with a growing number of members they need to add more as getting reservations is difficult." Mahindra is moving to address the complaint. The proceeds of the June IPO will be used to finance the expansion of five of its resorts at Ashtamudi in Kerala, Coorg in Karnataka, Ooty in Tamil Nadu, Tungi in Maharashtra and Theog in Himachal Pradesh and building new ones in addition to funding general corporate expenses. Mahindra Holidays plans to further optimize its assets by adding holiday plans that cater to teenagers and the youth segment that has been tentatively called Gypsy, offering tented accommodation close to its resort properties, and one called Harmony for senior citizens. Nanda says the company is still fine-tuning the new offerings. Asked by when Mahindra Holidays would get its next lot of 100,000 customers, Nanda has an evasive counter-question. How long did Infosys Technologies Ltd take to reach $2 billion in revenue after getting to the first $1 billion, he asks. Infosys, India’s second largest software services firm, founded in 1981, took 23 years to reach $1 billion in revenue. It took just two years to double revenue to $2 billion.